This weekend we are pleased to announce that Island FM and DWA Flooring will be joining us on the Seafront for our biggest day in our calendar. 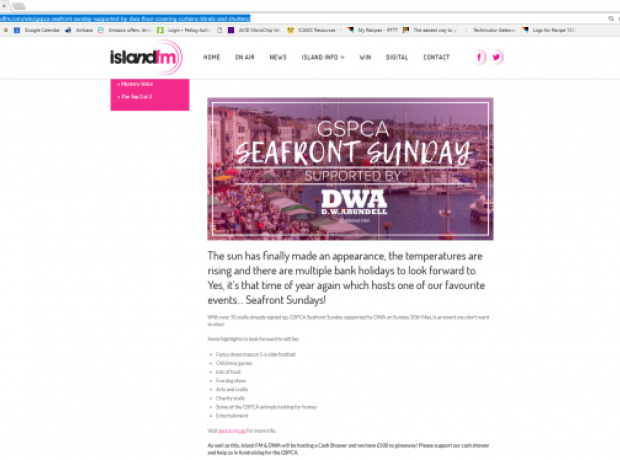 The Animal Welfare Seafront Sunday kicks off at 10am this weekend and Island FM and DWA will be there with the Cash Shower and a chance to win £500. Easter Sunday was an eggxtremely busy day for the GSPCA team as not only were there 500+ animals at the Shelter to care for we also had the biggest fund raiser of the year to date. 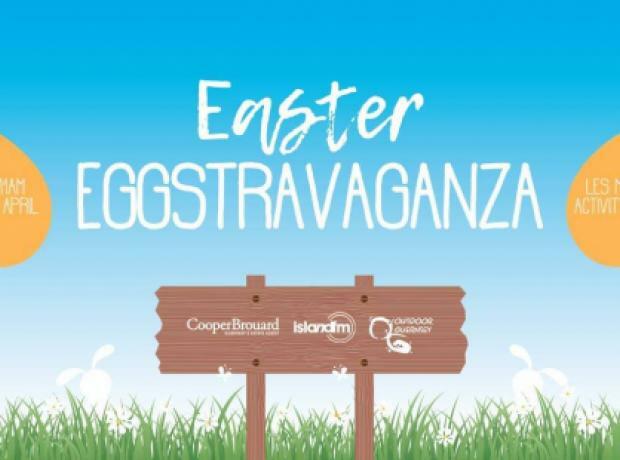 Island FM teamed up with Cooper Brouard to continue an exciting annual event and fundraiser over Easter with fantastic sporting activities with Outdoor Guernsey including; Archery, the Indoor Climbing Wall and High Ropes. Spring has sprung into action. With the temperatures rising and the sun shining, it can only mean one thing… Easter! From the GSPCA we would like to say a MASSIVE thank you to all involved and supported an amazing Easter Event on Sunday. The event was all thanks to Island FM who teamed up with Regency Bedding and created an exciting event and fundraiser to introduce Primary School Children to a fun afternoon of Taster Sessions of Alternative Sports and Activities with Outdoor Guernsey at Rue Maingy Activity Centre. The Sporting activities included Archery, the Indoor Climbing Wall and High Ropes. 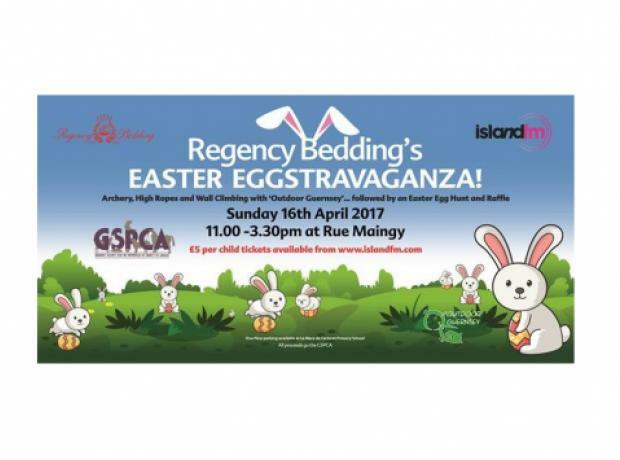 Island FM have teamed up with Regency Bedding and have created an exciting event and fundraiser to introduce Primary School Children to a fun afternoon of Taster Sessions of Alternative Sports and Activities with Outdoor Guernsey at Rue Maingy Activity Centre. The Sporting activities will include; Archery, the Indoor Climbing Wall and High Ropes. Families will be invited to join us from 11a.m. on Sunday 16th April at Rue Maingy. On Sunday Guernsey dogs and owners filled the area next to the Liberation Monument in St Peter Port at 9.30 in the morning. 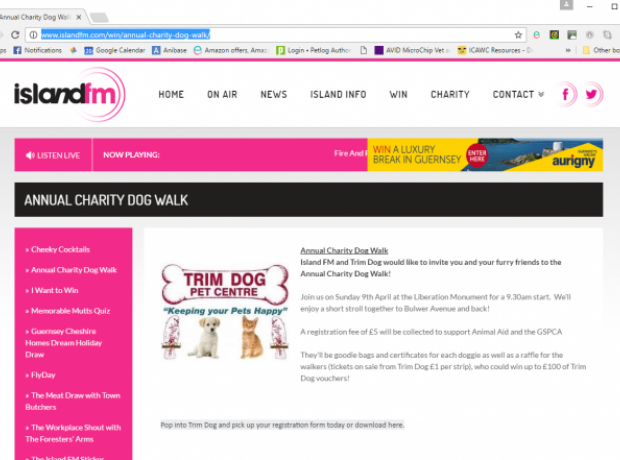 The purpose was to raise funds for the GSPCA and Guernsey Animal Aid Cats all thanks to Creature Comforts and Island FM. With over 50 dogs, their owners and a dry start a wonderful amount was raised. Michelle Boates Director of Creature Comforts said "The walk was a big success and we had in excess of 50 dogs!"